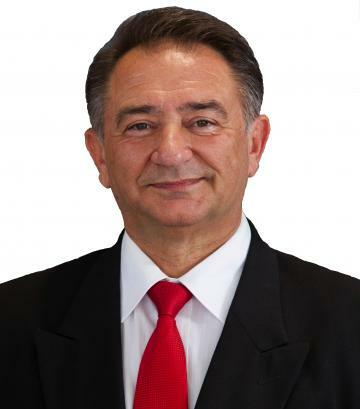 A Real Estate Agent on the Gold Coast since 1986, James has spent decades to sell Gold Coast residential and commercial Real Estate. He sold over 350 million dollars worth of properties. Owned and managed number of Real Estate Offices also he was involved for years with the many varieties of residential sales, project marketing, commercial properties leasing, or selling. If you’re interested to invest in residential land, apartments, houses or commercial properties from retail shops, office buildings, industrial factory complexes and development sites, James will be happy to assist. He also speaks fluently Hungarian and German, if you feel more comfortable to speak on those languages. Fantastic opportunity to purchase this premium two-bedroom, two-bathroom apartment, with absolute ocean views on level 23 of Tower one. Stunning 180 degree views from the North to Surfers Paradise all the way down to Coolangatta. Fully furnished, presents as new, never been rented and it comes with 1 security car park. Oracle Tower One facilities include an outdoor leisure pool on level 4 with ocean views, beautifully landscaped Zen gardens with BBQ’s, a large luxury private cinema, club lounge and games room, executive residence lounge with wine lockers and on level 2 you will stay fit and healthy all year round with full access to a 25m lap pool, steam room, sauna and large gymnasium. Right in the heart of the vibrant Broadbeach shopping and dining district, Oracle is the epitome of sophisticated design and lifestyle. Favorably positioned just minutes from the Gold Coast Convention Centre, The Star Casino, G-link light rail service, and Pacific Fair shopping precinct and across the road from the beautiful beach. Large two level Miami Duplex/Townhouse on extended land! Only minutes walk to coffees, restaurants, Miami One Shopping Center, approx 400 meters to beaches. Two story townhouse in as new condition, backing to a park, yet very private with toll trees, tropical back yard and garden. Sitting on a larger than average land giving you more space and comfort. Downstairs you find a modern new kitchen, separate dining and living area, powder room, separate laundry. Upstairs 3 good size bedrooms, main bathroom, master bedroom with walk in robe and ensuite. Beautiful outlook to tropical but maintenance free garden. Lock up garage with extra space, plus car park. Fully renovated 128 sqm apartment consisting of two large bedrooms and 2 bathrooms with spacious living and dining areas. With its size and position it could be your own home or investment. Ideally located in between the Cosmopolitan café’s, restaurants and shops of Broadbeach and the fabulous night clubs, bars of Surfers Paradise. Situated on the 3rd floor and facing North/East you have beach and skyline views. From the large sunny balcony you can enjoy the cool sea breezes cruising bye. We are proud to present, this 2 bedroom + study + 2 bathrooms with amazing ocean views is everything an astute buyer would expect. The apartment is in the East tower facing North/East and is well suited for you to live in, holiday let, or live in one side and holiday/permanently let the other as an investment, the choices are endless with a dual key apartment. This open plan dual key apartment is on the 13th floor, comes partly furnished, good sized kitchen, spacious dining and lounge area, separate laundry. The study can easily be made into a third bedroom. Broadbeach is one of the Premier suburbs on the Gold Coast and is home to the Casino, Convention Centre, stunning beaches, first class restaurants, cafés and shops (Pacific Fair across the road) with the Light Rail and buses at your door step. Schools conveniently located nearby Features: 2 bedrooms + study (master with ensuite) 2 bathrooms Partly furnished Separate laundry Air conditioned 3 balconies Facilities: Heated Indoor pool Children’s pool Large outdoor pool & spa & BBQ areas Gym & sauna Underground security parking (1 car park on title) + storage Pet friendly Onsite managers (24 hrs security) Be quick because “Dual Key” apartments are rare and keenly sought after.